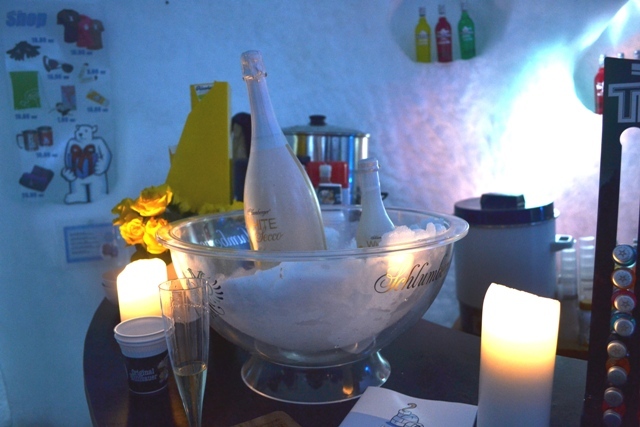 It’s not everyday you get the chance to stay in an igloo, let alone one with its own bar and hot tub, so when I was offered the chance to pay a visit to the cool-as-ice Iglu Dorf on a last-minute ski trip to pretty Engelberg in Switzerland, I jumped at the chance. 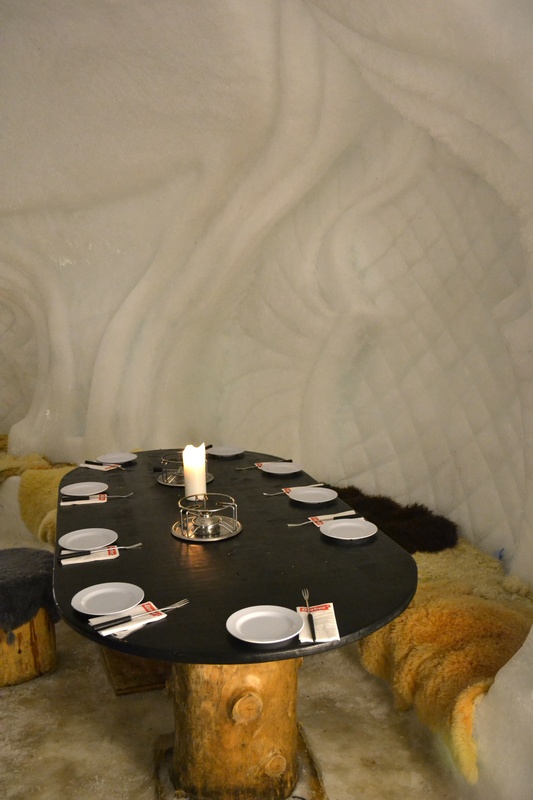 Situated high up in the Swiss Alpine resort of Engelberg, ‘Angel Mountain’, the igloo is rebuilt every year from scratch by a team of architects and artists, each time with a different theme. This year’s theme was ‘Oriental’ and the igloo was beautifully decorated with sparkling ice sculptures and patterns carved into the densely-packed snow walls. 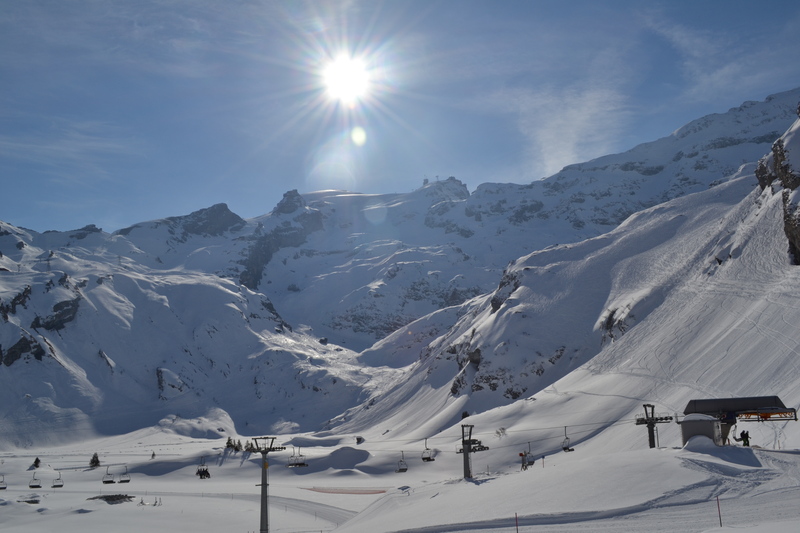 Not only is it an amazing place to stay, it’s eco-friendly too as it melts away every summer when the mountains and Engelberg valley once again transform into lush alpine meadows. As the sun went down we tucked into a delicious fondue dinner by candlelight and then headed out on an hour’s snowshoeing (another first for me! ), stopping to look at the sea of glittering lights of Engelberg below. 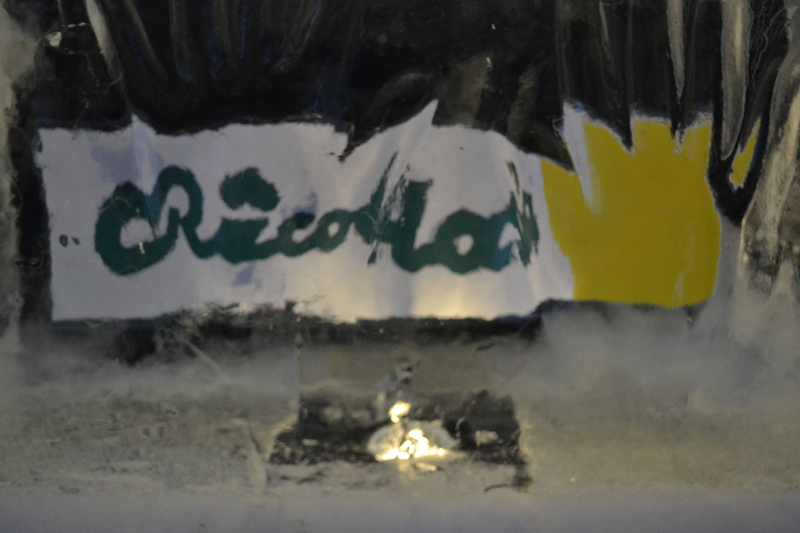 Before resting my head for the night, we sat in the bar for a warming Ricola mint tea before hitting the sack in super duper sleeping bags (which are designed to be effective as cold as -40). After a surprisingly good sleep we were awoken by one of the staff bearing steaming mugs of tea. And the best bit? The slopes were mere metres away. Now that’s what I call ski-in-ski-out accommodation! This looks like a very unique but also very cold experience!! Will have to think twice before I try it out. We did stay in our ski gear throughout but it was surprisingly cosy, especially in the sleeping bags! Thanks, will invest in a very very warm sleeping bag before staying here then!! No need – they provide them!